Hello everyone! Today is the 1st of March. 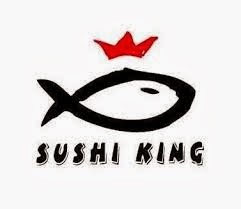 Guess what, there will be Sushi King Bonanza 2014 on this month. 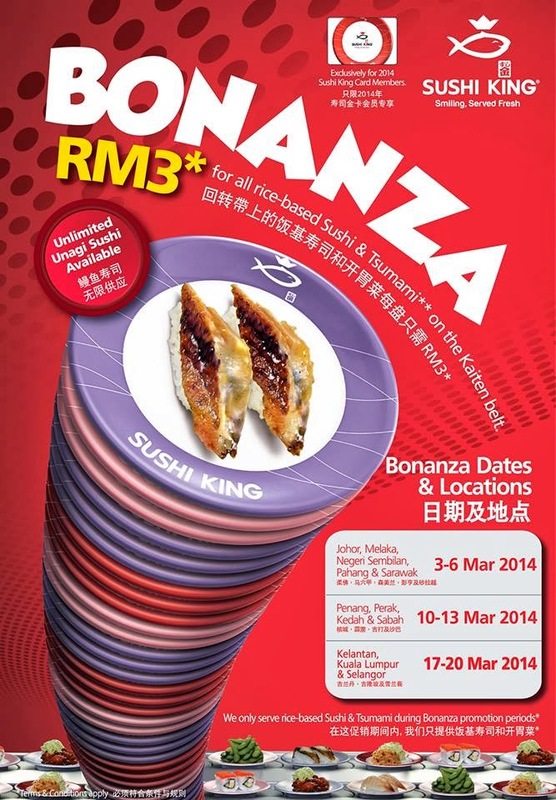 The Sushi King Bonanza 2014 will allocated at different places for this month. You able to enjoy all rice-based sushi and Tsumami on kaiten belt for only RM3. *RM3 Bonanza promotion is exclusive for Sushi King 2014 Member card holders only*. Promotion is applicable to sushi (rice-based) on all coloured plates and Tsumami on the conveyor belt only.